Spice is my beautiful Oriental black tortie girl and is one of the sweetest girl's to live with. ​Spice is a wonderful mother and if she has no kittens of her own she is more than happy to help look after any other girl with their kittens. ​If I as asked to describe Spice in three words I would have to say, naughty, mischievous and loving. Posh is a chocolate tortie point Siamese. 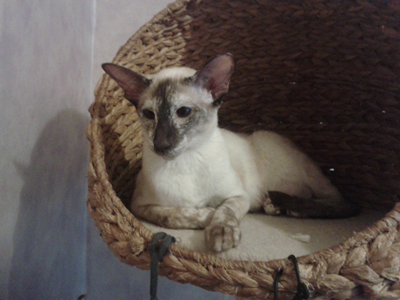 Posh is a joy to share my home with she is typical of the Siamese breed, a real chatter box! 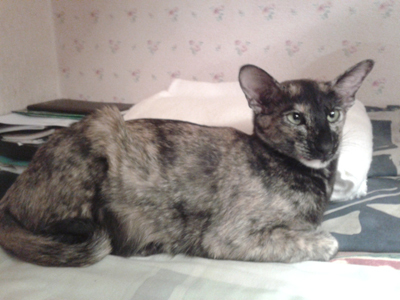 ​She is a very clever girl who understands everything I say, she is litter sister to my Oriental tortie girl, Spice. ​The girls are inseparable they do everything together they even share there maternal duties.